Most of the objects we see are colored by pigments, but using pigments has disadvantages: such colors can fade, industrial pigments are often toxic, and certain color effects are impossible to achieve. The natural world, however, also exhibits structural coloration, where the microstructure of an object causes various colors to appear. Peacock feathers, for instance, are pigmented brown, but—because of long hollows within the feathers—reflect the gorgeous, iridescent blues and greens we see and admire. 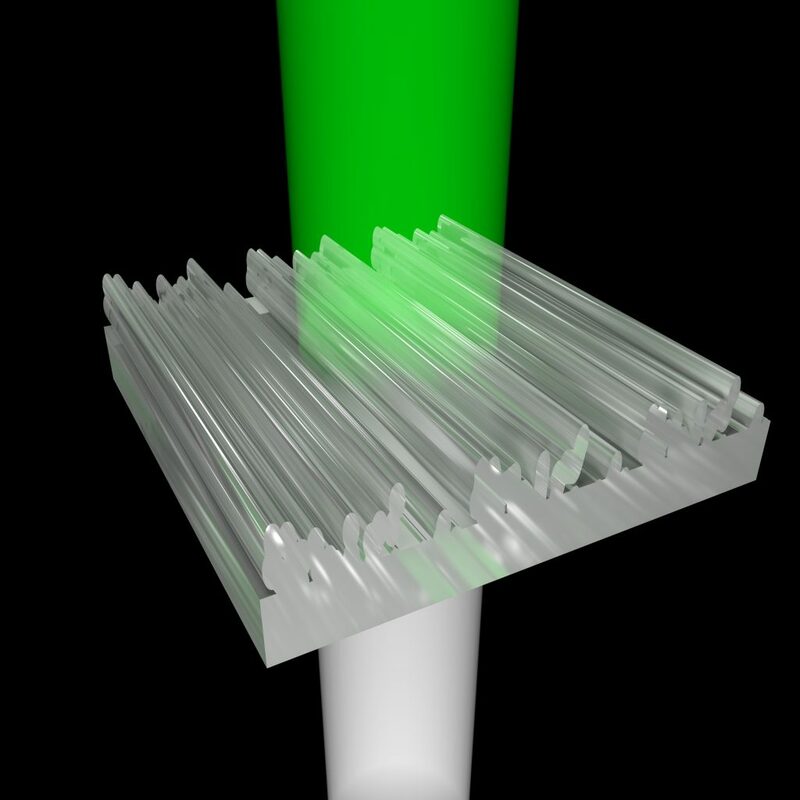 Recent advances in technology have made it practical to fabricate the kind of nanostructures that result in structural coloration, and computer scientists from the Institute of Science and Technology Austria (IST Austria) and the King Abdullah University of Science and Technology (KAUST) have now created a computational tool that automatically creates 3D-print templates for nanostructures that correspond to user-defined colors. Their work demonstrates the great potential for structural coloring in industry, and opens up possibilities for non-experts to create their own designs. This project will be presented at this year’s top computer graphics conference, SIGGRAPH 2018, by first author and IST Austria postdoc Thomas Auzinger. This is one of five IST Austria presentations at the conference this year.